President Trump and Education Secretary DeVos have made clear their intention to divert public education dollars by way of vouchers to private institutions, arguing that these options to attend private school can deliver a better, more equitable education to students. Our outdated education system is in full need of renovation and the Administration’s proposed changes will do little to move their stated equity interests forward. Instead, the President’s education reform efforts need to be similar to his popular infrastructure renovation plan. The President outlined his plan to rebuild the nation’s infrastructure, using public dollars to rebuild a crucial public resource, while in the same speech offering a privatization solution for education. But just imagine if the President proposed a plan to provide vouchers for SUVs or off-road vehicles instead of supporting a package to rebuild the nation’s roads? Moreover, imagine your reaction if President Trump promoted a voucher program to citizens to fund local fire departments as they see fit instead of insisting that communities provide first responders with the equipment and training needed? It’s equally absurd to offer vouchers to families for schooling when what we really need is a plan to renovate our entire education system. The truth is, education as a whole hasn’t changed much since today’s retirees were students themselves, sitting in class and scribbling notes in cadence with a teacher’s lecture. We’ve operated schools as if they were industrial factories, with one size fits all approaches to teaching and learning that resemble assembly line practices. In doing so, we are doing what we did 100 years ago — culling and sorting the more elite students and leaving the rest behind. We can no longer afford to choose winners and losers in this manner if we are to continue to lead as a nation on a global scale. Instead, we need to remodel and move education forward to inspire critical thinking and foster the knowledge, skills and mindset needed for our students to succeed in college and beyond. The good news is that schools and communities across the country are advancing a framework called student-centered learning, which presents an opportunity to renovate this dusty old factory approach and transform schools into sleek, flexible institutions of learning that meet the needs of all students so they can contribute to their communities strong futures. Student-centered learning questions traditional concepts of where, when and how learning happens. This is true innovation where learning is not restricted to the classroom and students advance by demonstrating their understanding of the material at hand versus enduring arbitrary class seat-time requirements. Rather than primarily sitting through lectures, students use class time for interactive projects and thoughtful discourse, they are full partners in parent-teacher conferences and complete internships for credit. These approaches help students develop the problem-solving skills and ownership over their continued learning and development that will better prepare them for life after high school. Being ready for success after high school is crucial because despite an all-time high national graduation rate, too many students enter post-secondary education unprepared for the rigor of college-level work. According to a study released last year by Education Reform Now, one in four students require remedial coursework before beginning their actual college classes, costing them on average $3,000 in additional tuition. The constant challenges for those students who need to “catch up” before starting college-level work makes them 74 percent more likely to drop out of college than their peers who do not need remediation. This at a time when success in our modern society demands complex knowledge, skills and mindsets — the acquisition of which may not come at the end of 12th grade. It is therefore imperative that educators embrace these student-centered approaches to ensure children are properly prepared for the challenges and pace of a 21st century economy. And, it is voters who sense the urgency with which we need to make sure future generations are ready for life after high school. The public is aware of this readiness problem. A recent poll found New Englanders overwhelmingly believe that students across the region are graduating unprepared for college or a career. The good news is that they also recognize student-centered learning as critical in preparing young people for life beyond high school. If President Trump truly wants to be a president for all Americans, he and his education secretary must look beyond so-called school choice and vouchers to learn from those innovative schools and districts that are leading the way by putting student-centered learning into practice. Revere High School in Massachusetts, which serves a population comprising 60 percent students of color and 80 percent who are either “high needs” or “economically disadvantaged,” is a perfect example of a school that puts students at the center. 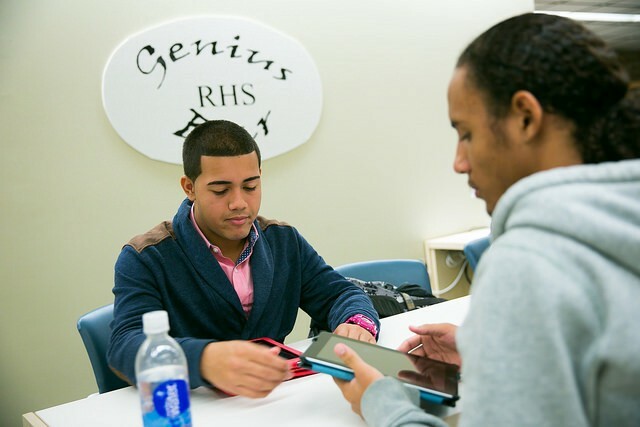 All RHS students receive iPads and learn via a flipped-classroom approach where they watch lectures and complete lessons at home, allowing their time in class to be spent working closely with their peers and teachers as part of a student-driven dialogue. 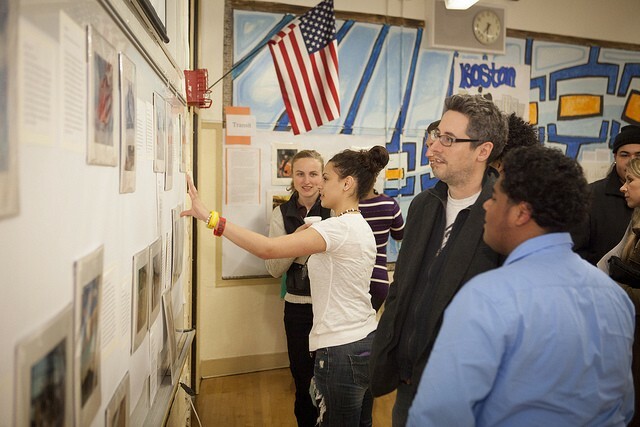 Once rated among the bottom-performing 20 percent of schools in Massachusetts, RHS has quickly become a model for equity in education as one of eight high schools across the nation recognized last year by the National Education Policy Center as a Gold School of Opportunity winner. As more schools embrace RHS’s model and contribute to the already rapidly growing research base, students, teachers, and parents will expect student-centered approaches in their schools. In rural environments as well, student-centered approaches help students whether they choose to go to college, or enter a career right away. Located on a small island off coastal Maine, many students at Deer-Isle Stonington High School opt to enter the community’s lucrative fishing and lobster industry after high school. In 2009, DISHS had the third-highest dropout rate in the state and a graduation rate of 57 percent. However, leaders there recognized the value critical thinking skills could provide to students and the community at large — regardless of their desire to pursue a post-secondary education or not. So they incorporated Deer Isle’s maritime economy into the curriculum, providing personalized classes in fields such as marine studies, arts and health that have direct connections to real-world opportunities for students after graduation — whether it be entering the workforce, exploring entrepreneurship or small business ownership. As a result, the school has fostered a culture of college and career readiness for all students, seeing a steady graduation rate of 85 percent over the last five years. The fate of our nation is contingent on a well-informed electorate, one whose constituents contribute to their communities, engage in debate and participate in the democratic process. A well-grounded system of public education is a fundamental step. I urge Congress and the new Administration not to dismantle or bankrupt our public education system but to take the necessary steps to renovate it to meet our collective needs and adhere to our shared values as Americans. We do ourselves and our children a disservice by continuing to educate within a system that was designed to encourage the majority of young people to assemble parts rather than code, cure disease or communicate ideas. Our rapidly globalized economy is a competitive, challenging one to thrive in, which is why America’s future is so closely tied to how well we prepare those who will inherit it.